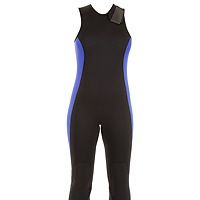 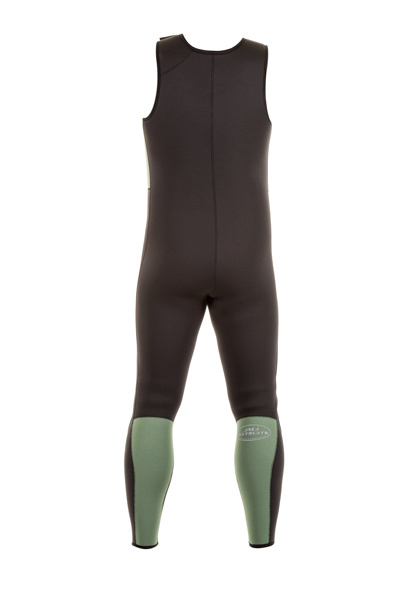 Cold-water divers have trusted the classic Farmer John wetsuit for decades; a one piece sleeveless suit that covers the legs and torso. 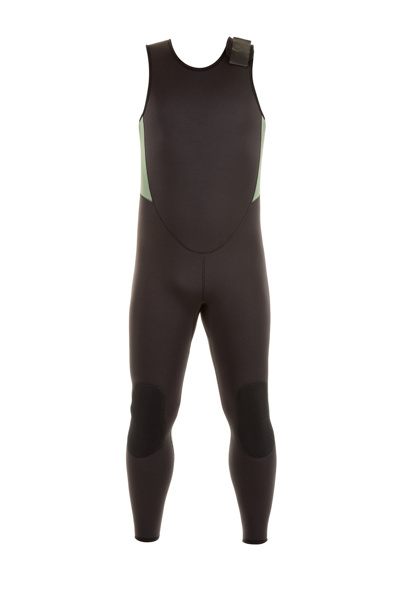 While shown here separately, the John is typically worn under a long sleeve Beavertail Jacket or Step In Jacket to cover the arms and add an additional layer of neoprene around the torso for maximum warmth. 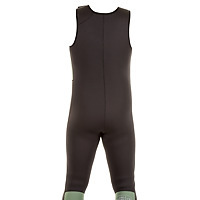 The John is made with pre-bent knees for ease of movement. 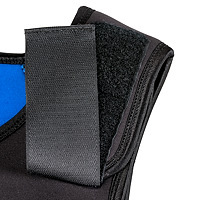 All seams are glued & blindstitched for durability and have Lycra bindings for flexibility. 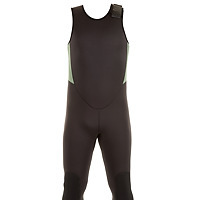 Like our other dive suits, the Farmer John is usually made from durable dive-grade neoprene that has better “memory” than other types of neoprene, meaning it will resume its thickness, even after being compressed many times at dive depths. 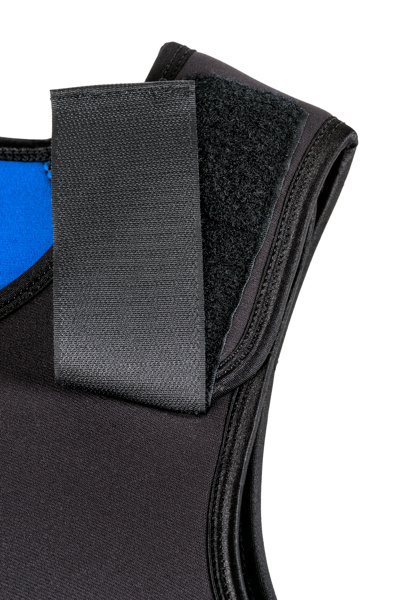 Various thicknesses are available with your choice of interior Nylon lining or Neoskin. 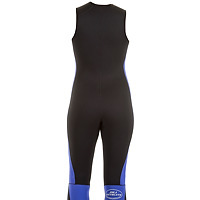 This suit is custom-fit to your measurements for maximum warmth and comfort. 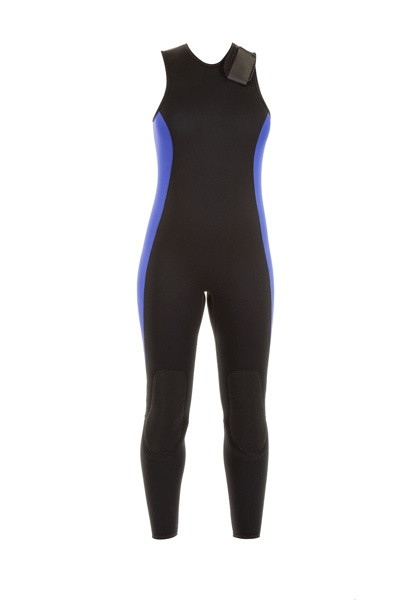 Stock sizes in 7mm neoprene are also available. 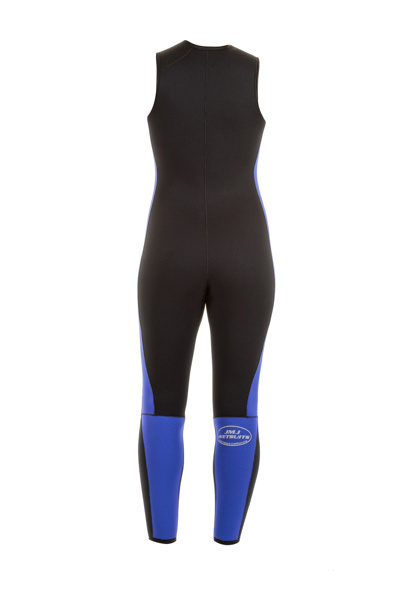 All JMJ wetsuits are made to last and keep you warm for many dives to come.